Disclosure: This post is written in partnership with Spivo. All thoughts and opinions are my own. When traveling the last thing you want to do is to carry around anything extra, whether it be clothes, photography equipment or souvenirs (believe me you can buy too many!). So when it comes to picking the best things to put in your backpack you have to choose wisely. 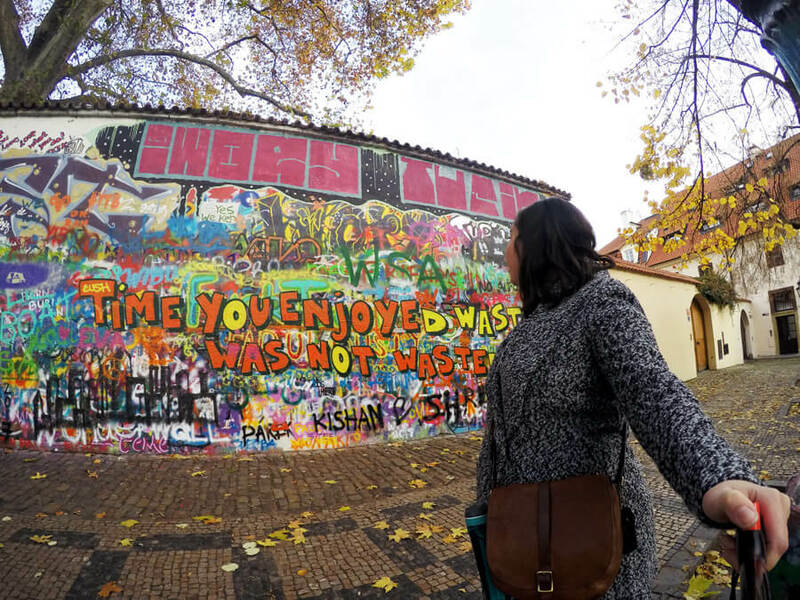 In today’s world we’re bombarded pictures, products to help us take the best pictures and many choose their travel destinations based on pictures they’ve seen on Instagram. So it makes sense that you want your pictures to be just as amazing so you can show off your epic adventures to your friends, family and insta followers. But getting those Instagram pictures that will make people double tap is not as easy as it seems, luckily there are affordable and easy to use tools out there that will help take your pictures and videos from meh to wow. To start off taking those pictures I highly recommend a GoPro which I still say is one of my best investments when it comes to travel photography. It’s lightweight, small and has amazing accessories that many other cameras can’t use. 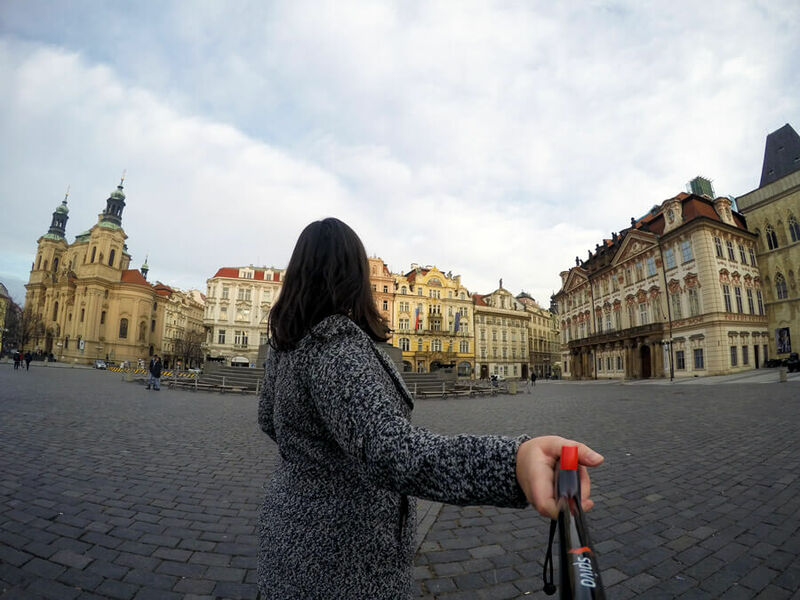 One such product is the Spivo 360, a GoPro selfie stick (though other cameras can be used too) that allows you to capture 360° of what’s around you, including you. 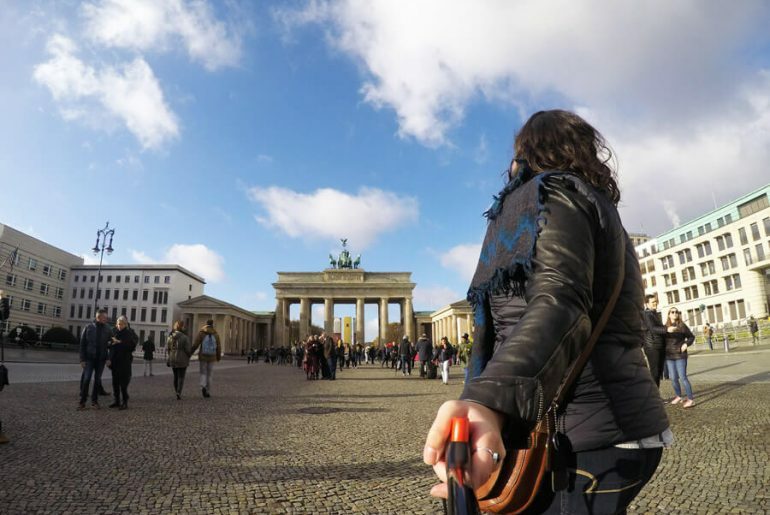 I hate to use the word “selfie stick” because it often makes people stop listening instantly but the reality is that selfie sticks can be used to take awesome pictures and you don’t have to ask strangers to take pictures for you. I had the chance to check out the latest Spivo 360 and was instantly happy and already planning what kind of adventures I could take it on. I was using it around cities in Europe but could easily see how to use it for any type of destination. My favourite thing was how lightweight the Spivo 360 is, I could barely tell that I had it hooked onto my bag which is both important for when carrying it around during the day and when packing. The only downside was that it didn’t fit into my purse but it would be easy to carry around with a backpack. For adventures it’s ideal since it’s waterproof and works well in sandy and salty environments, so yay for epic underwater shots! Though it works best when you clean it after. But what really makes this product stand out is the fact that I don’t have to unscrew, move the camera or myself to show my friends, family and audience what I’m looking at. 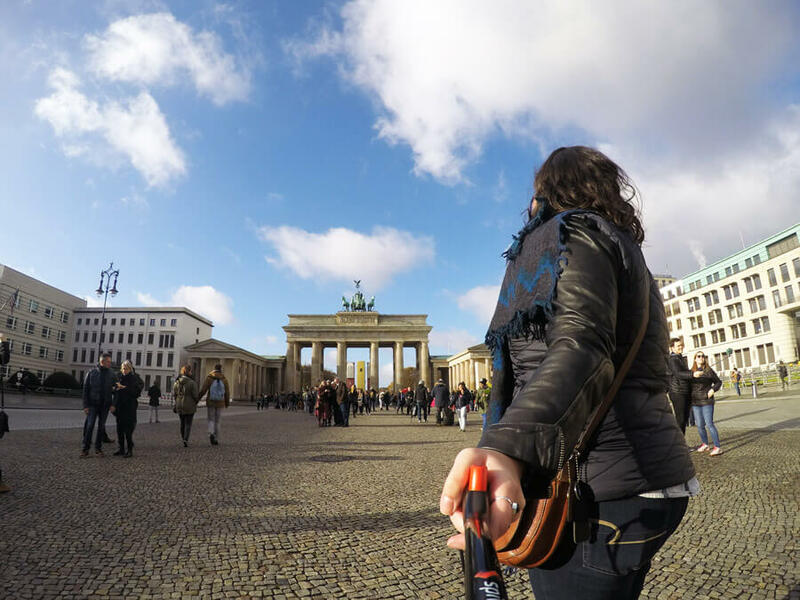 The option to see 360° of what’s around you is something so simple yet so genius and the Spivo 360 is changing the game when it comes to selfie sticks. If you’re worried about the camera being shaky, don’t fret, the camera is very stable and your shots will look awesome, promise. It acts as a normal selfie stick when taking regular pictures but if you need to catch a picture quick or are taking a video then you’ll really notice the difference with the Spivo 360. Your camera is attached to the end of the stick and with the simple click of a button your camera will spin 180 degrees. Why 180? So your camera can see the views that you see in front of you. Click the button again and it will spin back to you, capturing a 360 or all the sights around you. No need for a travel buddy or for someone to take my travel pictures! Like any piece of camera equipment it takes some practice and getting used to but with these simple tips you’ll be taking pictures like a pro in no time. 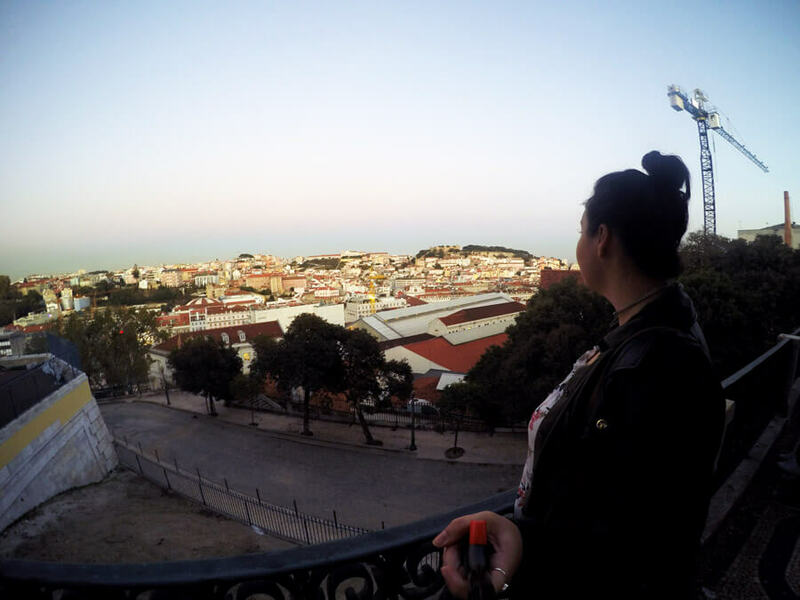 Before you go on your trip learn what angles you like for both ways, when the camera is facing you and not. Change your angle based on if you want to see the Spivo logo on the stick or not. It will take a few times of trying to know how to tilt your arm so you can get the best views from all directions. The Spivo 360 handles movement amazingly well, spin your camera around, dive into the water with it, do whatever you please. Movements will make your videos look cooler and it will show more. Your shots will look seriously cool when you angle your camera up. I personally look away in these pictures at whatever I’m taking a picture of because it makes things look bigger and more grand. For selfies angle your camera down, it’s a more flattering angle…you can thank me later for that tip! I could go on all day about why the Spivo 360 is an essential piece of photography equipment for any adventurer but I think you get the point. Who doesn’t want a lightweight, easy to pack piece of equipment that will make your pictures look so much better? Is it affordable? Absolutely, the price will fit into any traveler’s budget. (As a budget backpacker I 100% vouch for this). You can see prices and other products here. What is it made out of? Polycarbonate (the same material hockey boards are made of and it is an additive in bulletproof vests as well) meaning you’re not going to break it. Is there a warranty? Yes! For 5 years against manufacturer defects. I would never recommend a product that I didn’t love or didn’t think was useful and I’m proud to say that it was developed and is made in Canada. I’ve been using a GoPro for years and this is one of the best GoPro accessories I’ve seen. 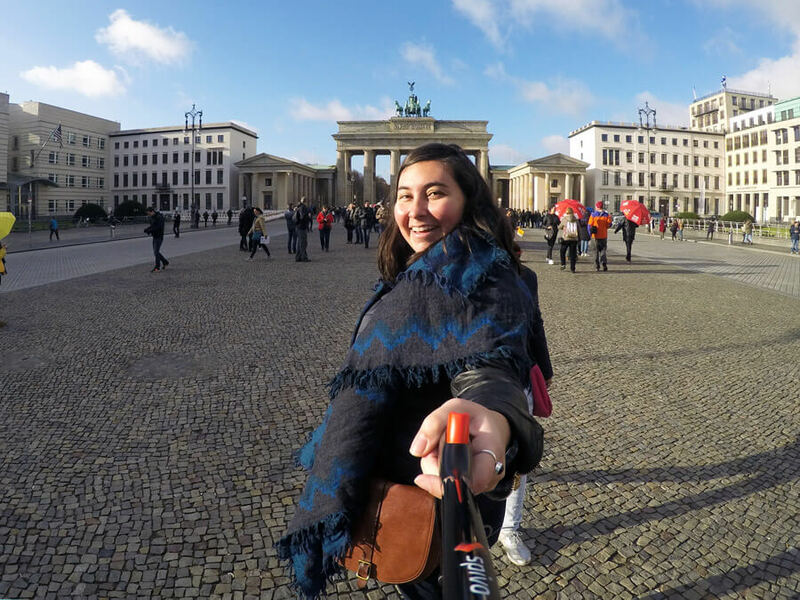 Stop taking dull travel pictures and start taking epic ones with the ultimate selfie stick and GoPro mount on the market.